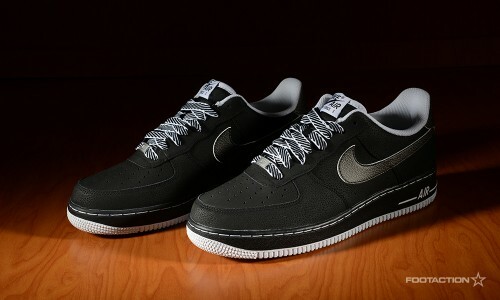 The Nike Air Force 1 Low “Oreo” are a clean and simple colorway for the classic silhouette. Bearing witness to the “Oreo” treatment being done to various kicks in the past such as the Air Jordan 5 Retro, it’s interesting to see how well the adaptation translates to this sneaker. A dominantly black upper, a grey swoosh, a white sole and accents make it simple and versatile. Print article This entry was posted by hhcblog on January 18, 2014 at 4:24 pm, and is filed under Footwear. Follow any responses to this post through RSS 2.0. You can leave a response or trackback from your own site.